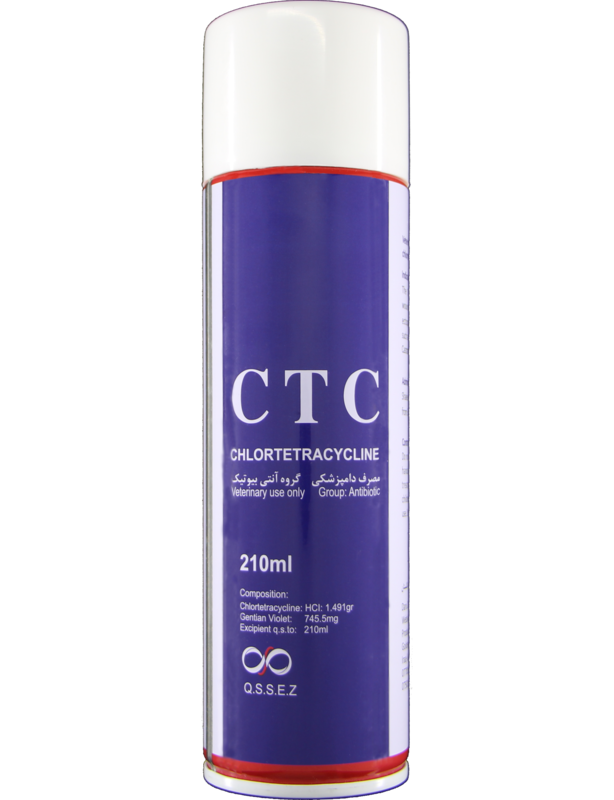 The CTC can be used for treatment of wounds, secondary infection caused by ecto-parasites and used after all surgeries such as laparotomy, castration, dehorning and etc. Shake well before use and spray over the affected area from 30cm distance 2-3 times a day. Do not spray in or near the eyes, wash hands after use for animal treat-meant only, keep out of the reach of children, do not pierce or even burn.